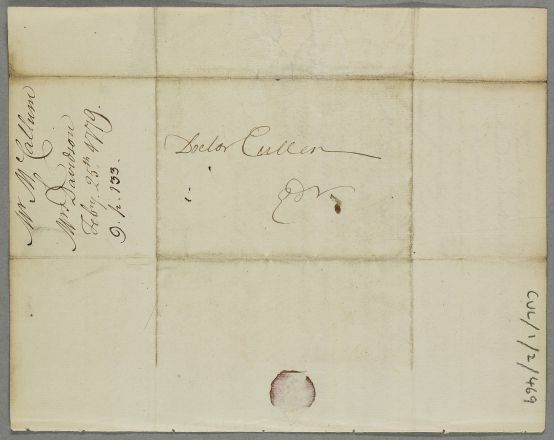 Letter from George McCallum, concerning the case of Mrs Davison. 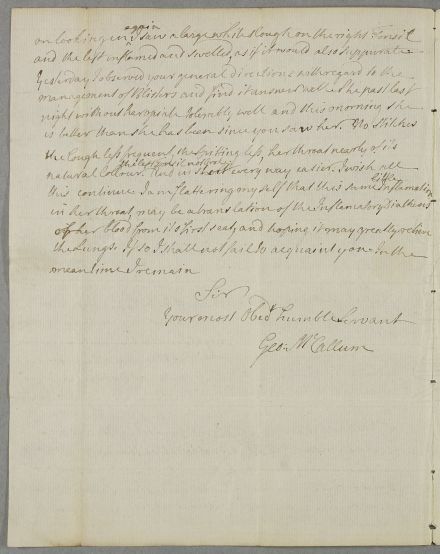 Summary Letter from George McCallum, concerning the case of Mrs Davison. 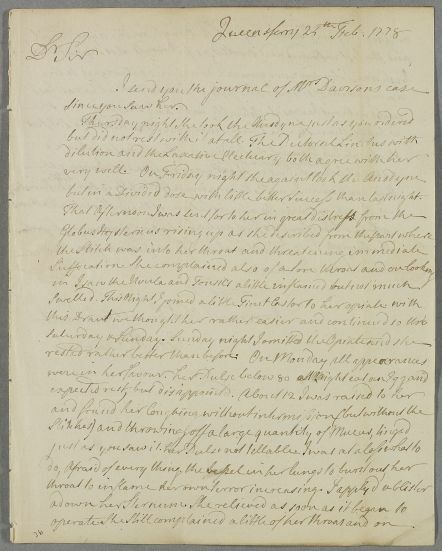 Case of Mrs Davidson [Davidson] of South Queensferry who is being treated for a chest complaint and 'hysteric fits'. but in a Divided dose with little better success than last night.